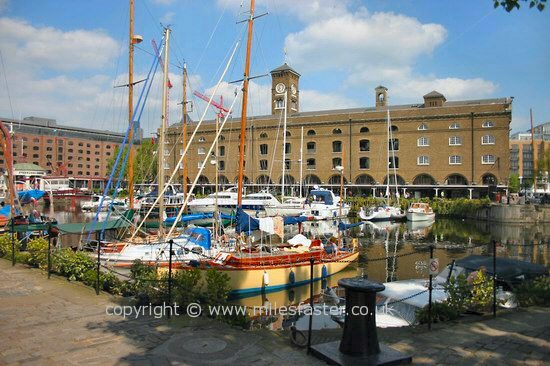 St Katherine's dock and yacht haven is a beauty spot and marina on the outskirts of the City of London. 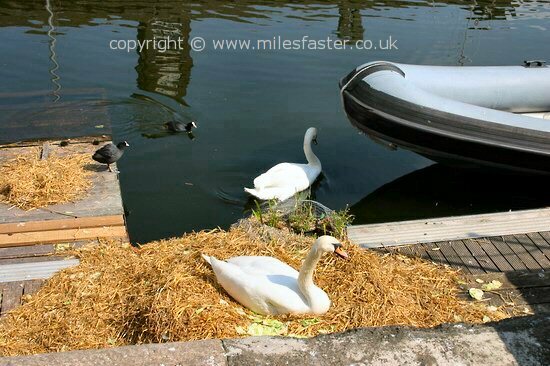 Often missed by visitors to central London because of it's out of the way location. 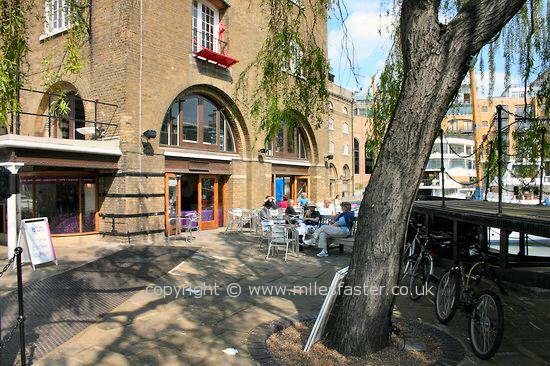 A great place to visit on a summers day with its bars and shops and riverside location. 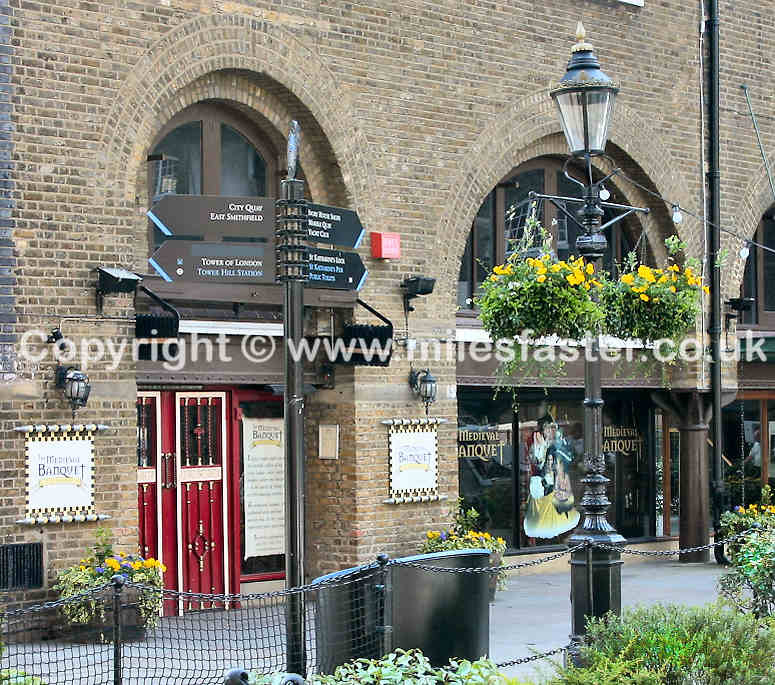 It's only a short walk from the Tower of London and London Bridge and its right next to the Guoman Tower Hotel. 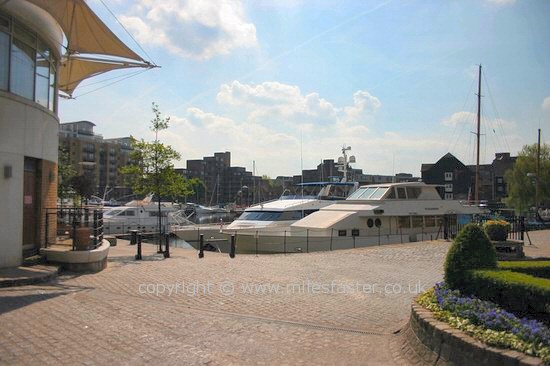 The marina always has a large range of yachts moored up and there also a lock that leads to the River Thames itself. 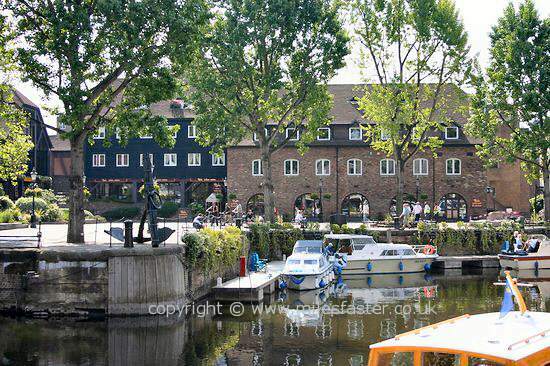 It's useful to note that there's a River bus service that stops very close by at St Katherine's Pier. 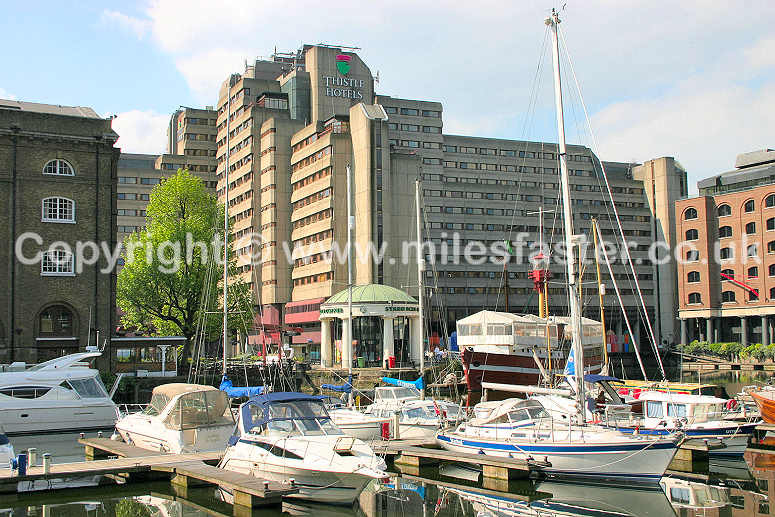 The dock enjoys a long and rich history that dates back more than one thousand years. 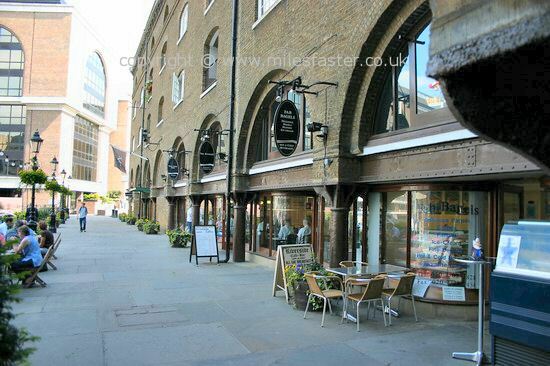 Before the Roman era in British history the site was in use for trading. In the 10th century King Edgar sectioned off 13 acres which he gave to thirteen knights for them to use for profitable returns. Its name can be traced to 1150 when Queen Matilda sanctioned the Royal Foundation of St Katherine. 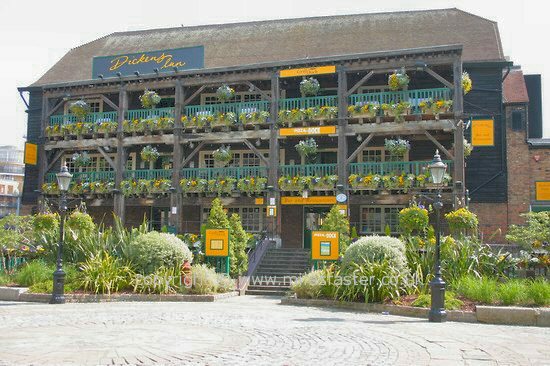 It wasn't until the mid 1550's when locals would refer to the area as the modern used St Katherine's Dock (one of several docks that were collectively known as the Port of London). The name St Catherine's (with a 'C') was itself actually a hospital that stood here in the 1100's. In the 1820's the Dock was totally rebuilt by Thomas Telford in what at the time was one of the biggest ever construction projects ever taken on in London and involved connecting the West and East Docks and building warehouses in the surrounding roads, innovative at the time (allowing direct unloading between ships and warehouses). 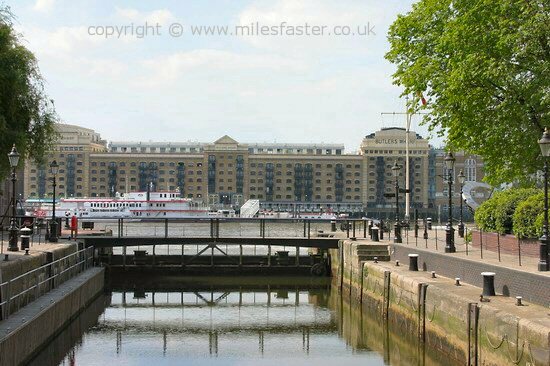 The docks prospered until the 1920's to 1940's when ships became simply too big to use the docks. On the 7th September 1940 the docks were badly damaged on a large scale in the first large scale German bomber raid over London. It was something the docks never truly recovered from with some parts never being rebuilt. 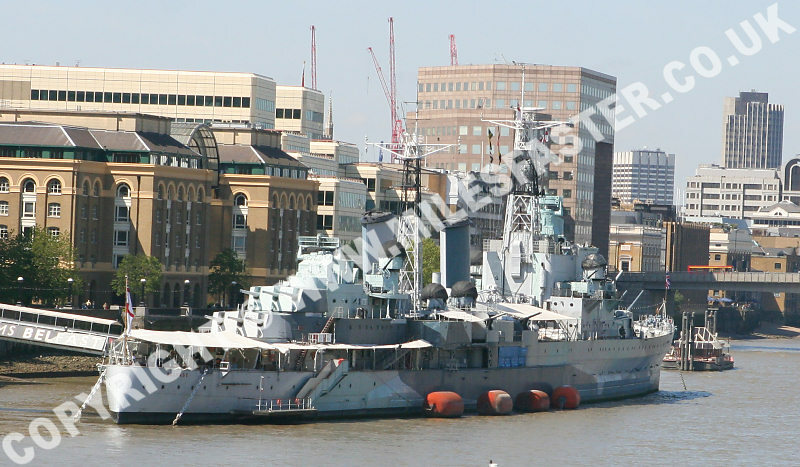 The 160's saw the end of the docks for any large scale use with much of the shipping being relocated to docks nearer to Kent. 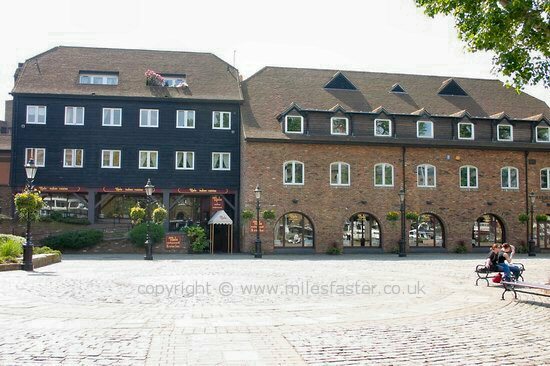 The period that followed saw the area being redeveloped and with an emphasis on its use as a leisure and residential location with many warehouses being converted in flats. 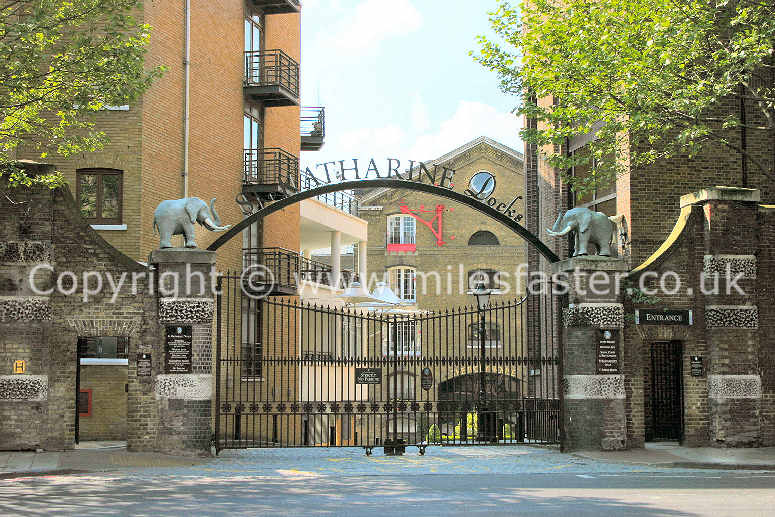 Entrance to St Katharine Docks. Rear of the main dock area. 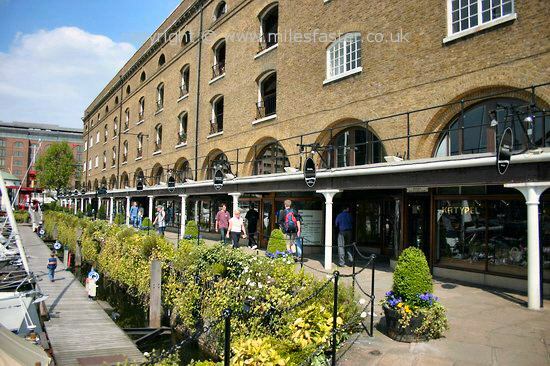 Shops to the left, entrance to main dock far corner. 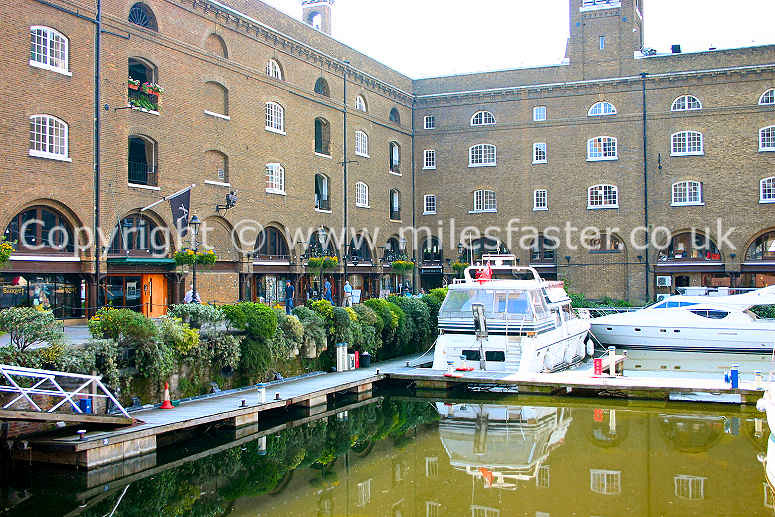 Smaller part of St Katharine Docks with the Thistle Tower in the background. 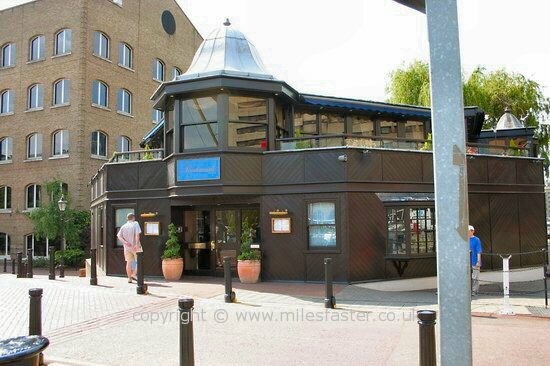 There's a good selection of bars and restaurants around St Katherine Dock, this one recreates a medieval Banquet. No shortage of snack bars. Plenty of boutiques and souvenir shops. Another spot for a quick snack. Dickens Inn Restaurant and Bar. another view of the dock. 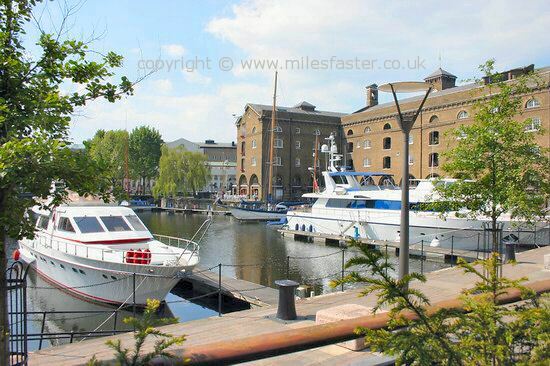 Its just humans that enjoy St Katharine Docks. Lock marking the entrance from the River Thames to St Katherine dock. 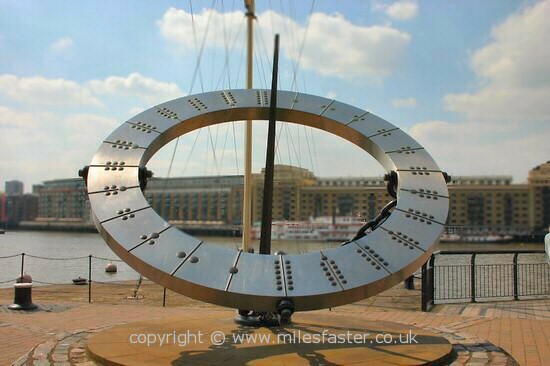 Sun dial at the rear of the Thistle Tower Hotel. 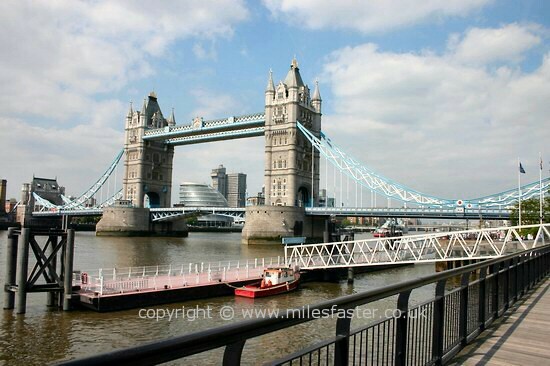 Tower bridge in the background with St Katherine Pier in the foreground. 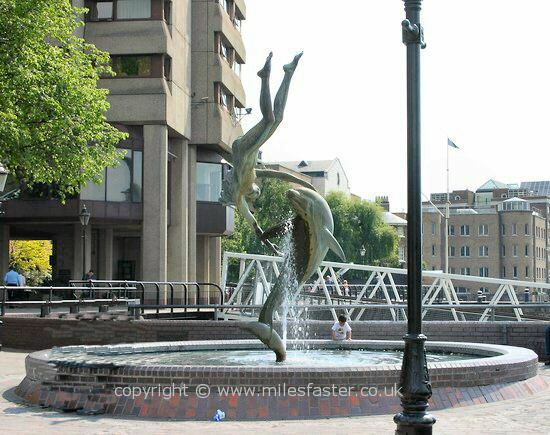 Dolphin fountain at the rear of the Tower Thistle Hotel. the River Thames opposite the Tower of London. 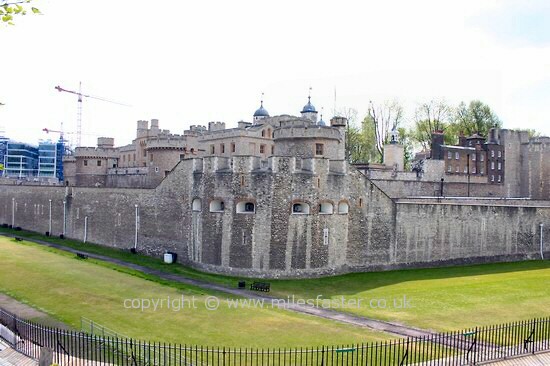 The Tower of London by Tower Bridge.